The MFP-3D Origin™ family AFMs mark the intersection of affordability and performance. 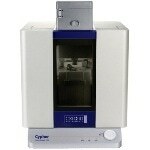 They feature the high resolution and experimental versatility that you expect from Asylum Research, the AFM technology leader. 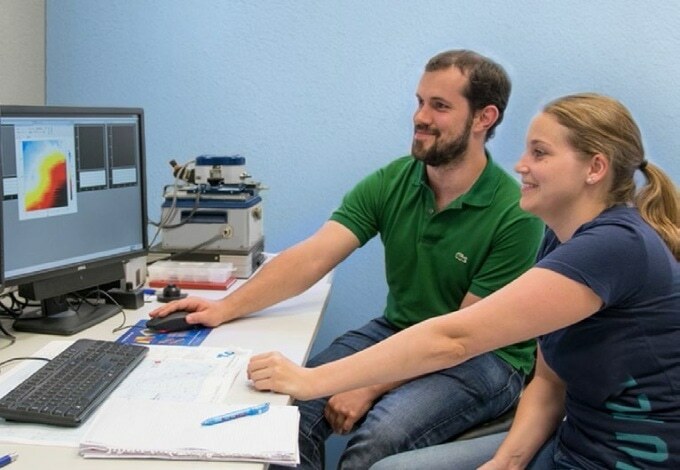 Their ease of use and budget-friendly prices makes them perfect for researchers new to AFM or anyone looking for a powerful yet affordable AFM. 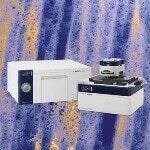 Asylum’s most affordable AFM model supports most imaging modes, large samples and a number of accessories. The Origin+ features the same core performance as the Origin but adds support for the whole range of MFP-3D modes and accessories. 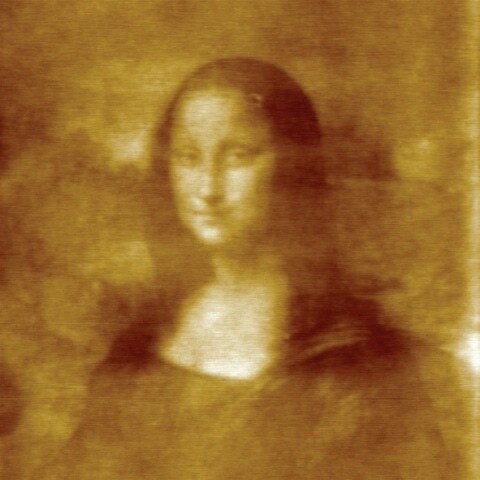 Microgel thin film Surface potential image, 15 μm scan. Courtesy of C.D. Sorrell and L.A. Lyon, Georgia Institute of Technology. 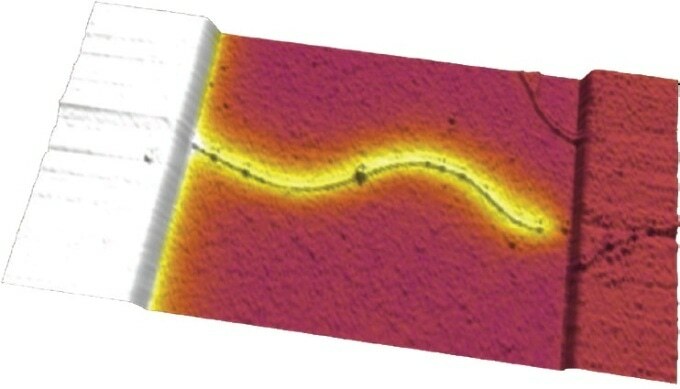 Carbon nanotube attached to an electrode Electrostatic force microscopy (EFM) phase overlaid on topography, 5×2.5 μm scan. Courtesy of Minot Lab, Oregon State University. 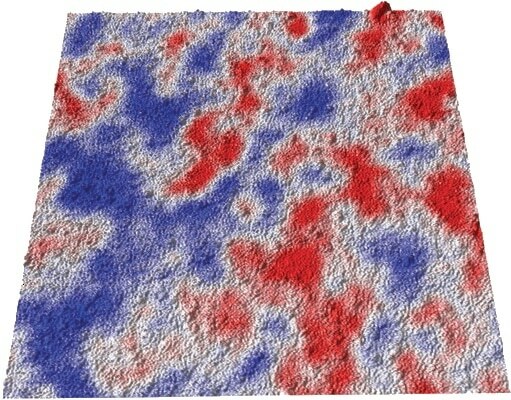 GaFeO3 thin film Piezoresponse force microscopy (PFM) amplitude overlaid on topography, 1.25 μm scan. Sample courtesy of S. Mukherjee, R. Gupta and A. Garg, Indian Institute of Technology, Kanpur. 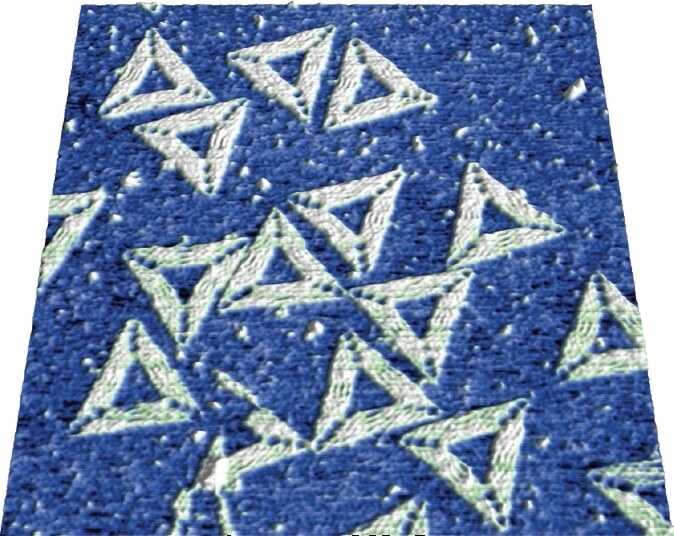 DNA origami triangles Topography imaged in fluid, ~120 nm per edge, 600 nm scan. Sample courtesy of P.W.K. Rothemund, California Institute of Technology. 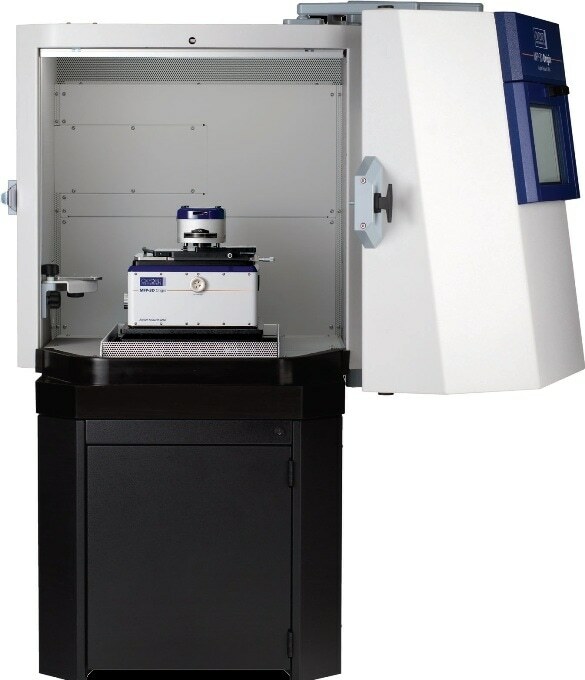 The MFP-3D Origin has proven itself as a top quality research AFM in our lab. Our main project now involves molecular recognition on soft biological samples, which requires low-noise, high-resolution force mapping. We especially appreciate the flexibility that it provides in terms of both the measurements supported and the ease with which we can create custom analysis routines. Modern features and performance that go far beyond all competitors in their class. 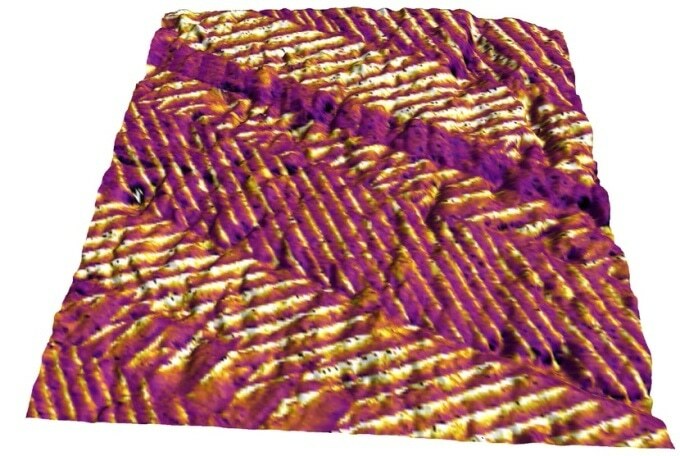 Atomic lattice resolution on a calcite crystal Imaged in liquid in contact mode, 7.5 nm scan. Mechanical unfolding of titin The exquisite force sensitivity of Asylum AFMs helps unravel the mysteries of protein structure and stability. 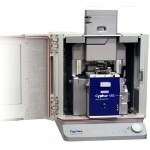 Closed-loop scanner makes it easy to accurately zoom and offset to a region of interest in a single step. Here, a three component polymer blend was imaged. A large overview scan (20 μm) was collected first (left), then a new region was chosen with a single click for a smaller 2 μm scan (right). The modulus data channel is shown, clearly indicating three components. Sample courtesy of Dalia Yablon, ExxonMobil Research and Engineering, Corporate Strategic Research. 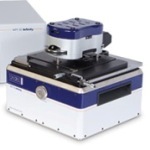 A few advanced modes for characterizing nanoscale mechanical and electrical properties use optional probe holders, which can be added at any time. 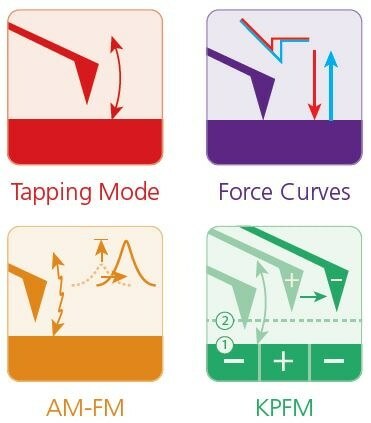 All basic modes and a number of advanced modes are included at no extra charge on all Origin and Origin+ AFMs. Automation? Advanced needs? No problem. Almost unlimited customization by users is possible within Asylum’s open-source IGOR Pro-based code. MacroBuilder™ allows users to effortlessly implement custom routines by just dragging “modules” together to form macros, no coding needed. 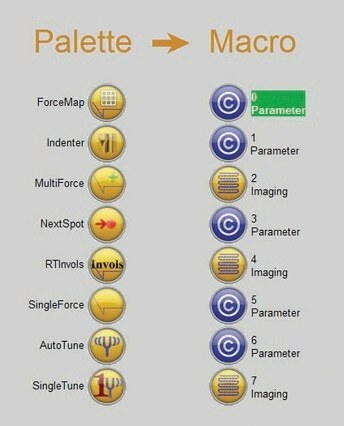 ModeMaster enables one-click setup for more than 30 different modes. Nanolithography example created by anodic oxidation on silicon, 20 μm scan. Multi-layered coffee bag cross section imaged using AM-FM Viscoelastic Mapping Mode. 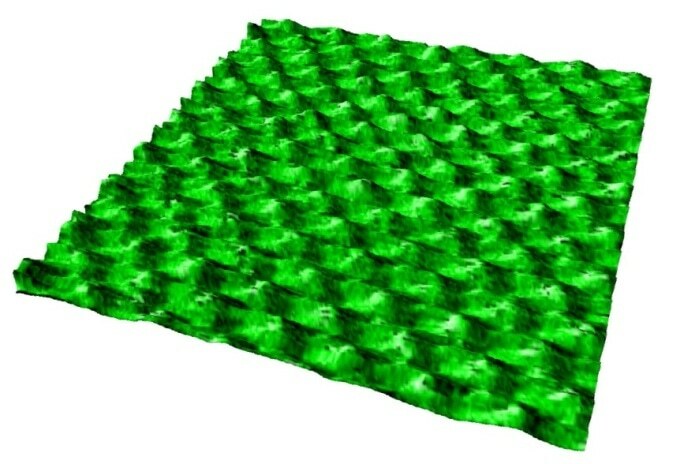 Modulus data is shown on 3D topography, 30 μm scan. 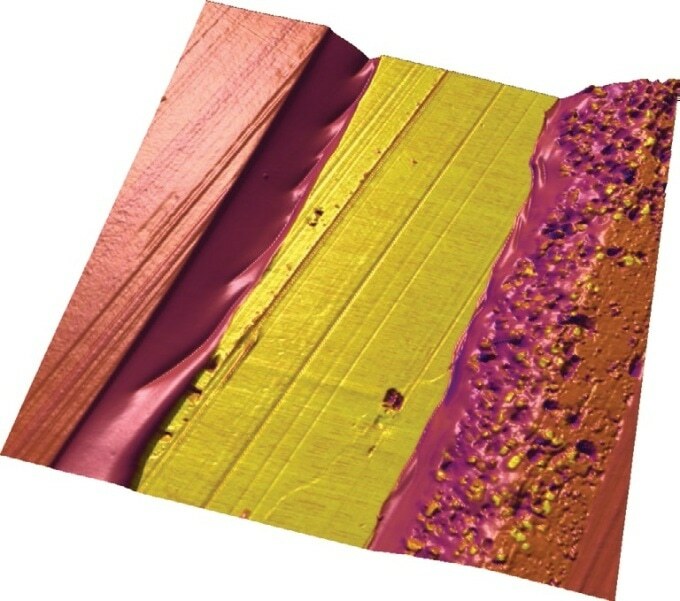 Boron nitride and graphene grown on copper film imaged using KPFM. 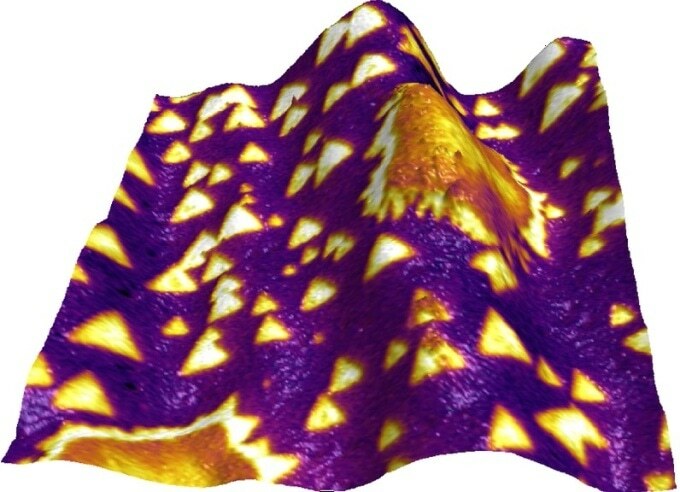 Surface potential data is shown on 3D topography, clearly showing triangular patches of boron nitride and irregular areas of graphene that would have otherwise been obscured by the rough topography of the copper, 50 μm scan. 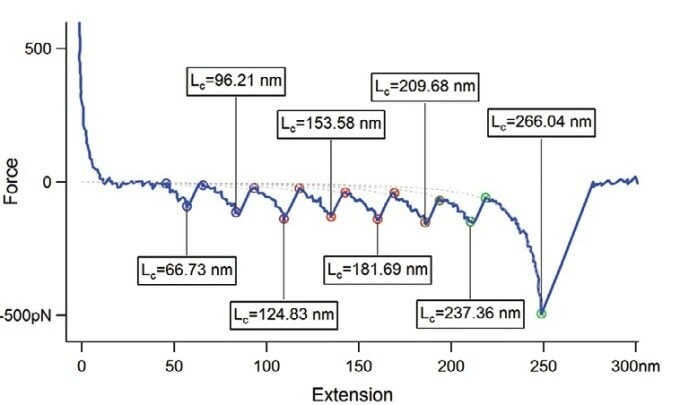 Sample courtesy of N. Wilson, University of Warwick. 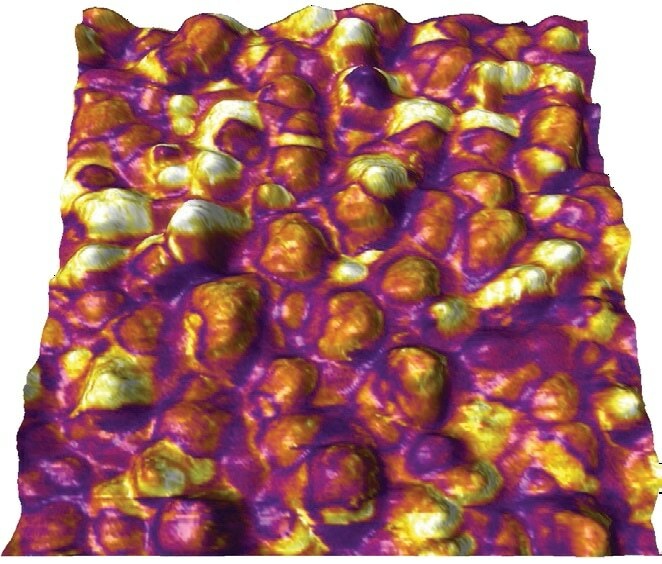 Molecular ferroelectric film PFM phase data is shown on 3D topography, 20 μm scan. Image courtesy of A. Eshghinejad and J. Li, University of Washington. 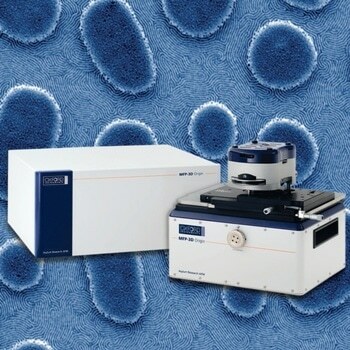 Many MFP-3D AFM accessories were designed in association with customers in order to provide unique capabilities while maintaining AFM performance and ease of use. Buckling in hydrogel film immersed in water and heated using the BioHeater accessory, 90 μm scan. Courtesy of D. Chen, University of Massachusetts-Amherst. Cobalt nanoribbons imaged using MFM under the influence of an in-plane magnetic field applied with the Variable Field Module. MFM phase data is overlaid on topography, showing the head-to-head (blue) and tail-to-tail (red) domain walls that have been created by the application and removal of the field. 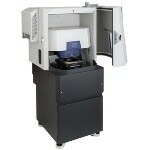 Scan size 20×10 μm. Courtesy of J. Bickel and K. Aidala, Mount Holyoke College. 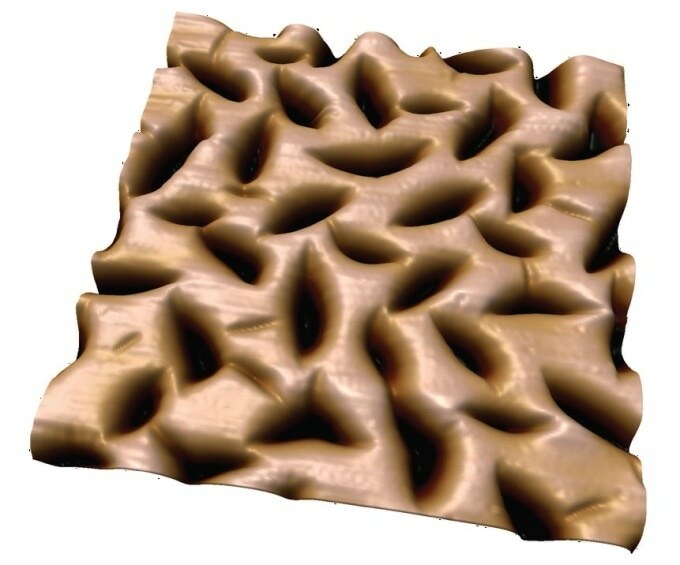 Shape memory polymer microparticle imaged while annealing using the PolyHeater, 12 μm scans. 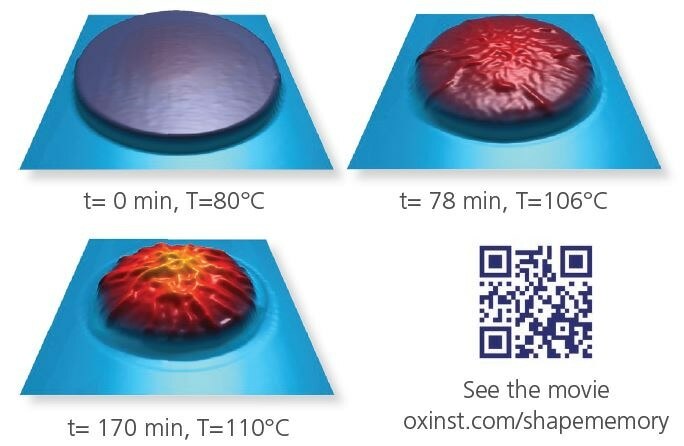 The flattened particle recovers its original shape during annealing. Courtesy of J.P. Killgore, NIST. Cantilever deflection sensing uses an inverted configuration (incident beam off vertical) to dramatically reduce interference from light reflected by the sample. 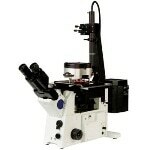 Probe, IR SLD spot and sample can be viewed via top-down brightfield optics with two selectable fields of view, 240 μm and 720 μm, through a 10× objective. All other features and specifications are identical for both. 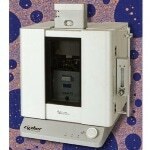 A custom enclosure for vibration and acoustic isolation is included in the standard Origin and Origin+ configurations. Vibration isolation: A passive mechanical vibration isolation platform is as included standard and does not need compressed air. 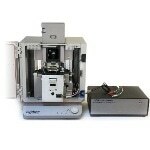 An optional active electronic vibration isolation platform is available. Acoustic isolation: Rigid, highly-damped design offers effective isolation of acoustic noise in typical laboratories. 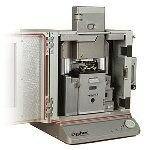 Ergonomics: The door of the enclosure easily swings to the side in order to open and is reversible to accommodate different laboratory floor plans. A smaller access window allows users to reach into the enclosure to make adjustments.